A family dog diagnosed with wobblers disease made a full recovery thanks to his best friend, a young boy named Luke. 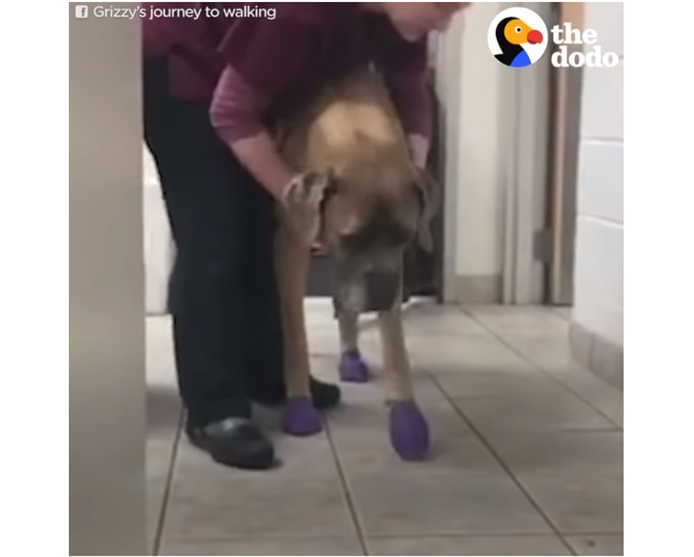 When Melissa Mullamphy and her husband first invited their dog Grizzy into their family, it was with one objective: for the dog to be a companion to their son, Luke. For a short while Luke and Grizzy bonded: they would do all sorts of activities together and truly became best friends. But then something terrible happened: Grizzy's legs became lame. Vets diagnosed Grizzy with wobblers disease, a condition that affects the spinal cord and neck of dogs and causes weakness in the legs. The family struggled to come to terms with Grizzy's illness but Luke remained loyal to his dog throughout the ordeal. Grizzy went through a risky surgery that, thankfully, healed him and set him on the path to full recovery. While Grizzy learned to walk again, Luke stayed by his side, even taking to sleeping in the dog's cot so that he wouldn't have to let his friend out of his sight. Today, Grizzy is as healthy as ever. And there is no doubt in the Mullamphy family's minds that it is Luke's love and compassion that helped Grizzy through the toughest of times.